Provide comfort for the family of Gary Sorenson with a meaningful gesture of sympathy. 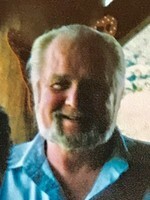 Gary A. Sorenson, age 74, of North Las Vegas, NV, passed away April 8, 2019, from natural causes at his home. He was born April 1, 1945, to the late Phillip & Helen (Kluewer) Sorenson. Gary lived his younger life in the Oconomowoc, Okauchee, Waukesha, & Stonebank areas, also attending Hartland Arrowhead & Oconomowoc High Schools. He always enjoyed attending both class reunions. After graduating high school, Gary enlisted in the US Marine Corp. where he did two tours in Vietnam & was involved in Desert Storm. 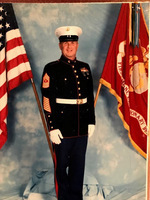 After 30 years of touring all over the world, he retired as a Master Gunnery Sergeant in 1993, making Las Vegas his home. Just about every weekend, his family & friends could count on him making his weekly phone calls to see how things were going. He loved to talk & tease. Gary is survived by his wife, Mitzi; his brother, Steve Sorenson, of Florid; his sister, Phylis (Mike) Trujillo, of Utah; his half-sister, Dianne (Steve) West; 4 other half sisters, Terri, Dawn, Chris, and Pam; his sister in law, Jerri (the late Richard) Sorenson; 3 nephews, Karl & Kevin (Brenda) Sorenson, of Wisconsin, and Robert Sorenson, of Florida; and his niece, Samantha, also of Florida. Besides his parents and brother, Richard, Gary was preceded in death by 2 nephews, Nickolas Trujillo & Joey Sorenson. Funeral services will be held at 11:00 A.M. on Saturday, April 20, 2019 at the WHITCOMB-LYNCH FUNERAL HOME & CREMATION SERVICES. Burial with Full Military Rites will take place in Bethel Cemetery, Center Township. Visitation will be from 9:30 until 11:00 A.M. on Saturday at the FUNERAL HOME. 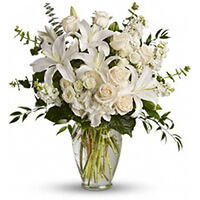 To send flowers in memory of Gary A. Sorenson, please visit our Heartfelt Sympathies Store. Ed & Jeannie Kaatz sent flowers to the family of Gary A. Sorenson. Ed & Jeannie Kaatz purchased the Dreams from the Heart Bouquet for the family of Gary Sorenson.